Take this Quiz to Discover What Kind of Gamer You Are! Ever wondered what kind of gamer you are? Wonder no longer! 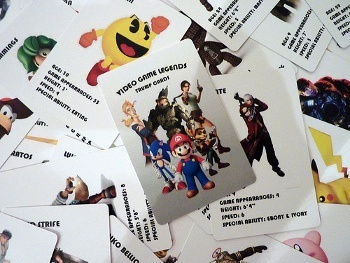 There are many different types of videogames, so why wouldn't there be just as many different kinds of gamers? You might know a few of them: The friend that only plays MMOGs; the pal who can't put down a game until he's collected every item and unearthed every secret; the buddy who plays Plants vs.Zombies like a fiend. With so many possibilities, it can be hard to figure out what category you fall into. So, that's why we've created this nifty quiz. This quiz is a little different than the ones you may be used to from us. It's a personality quiz, which means that there is no right answer. Just choose the answer that appeals the most to you, and our fancy algorithms will do the rest. You can take the quiz as many times as you want, and there's a badge to be had for you to display your Gamer type to everyone. Make sure you tell us how accurate your results were!